NRG’s shuttered Huntley Generating Station is on the Niagara River in Tonawanda, N.Y.
TOWN OF TONAWANDA, UPSTATE NEW YORK—To an outsider, the brawny red behemoth framed by jutting smokestacks looms at the edge of Niagara River like a ghost of the nation’s energy past. 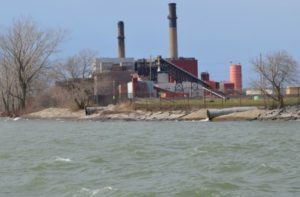 The coal-fired Huntley Generating Station, silenced after a century of service, hasn’t produced electricity for 16 months. 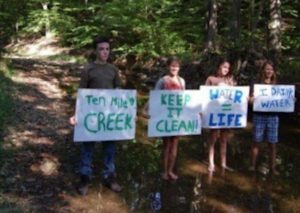 However, Upstate New York natives such as savvy grass-roots organizer Rebecca Newberry view the 760-megawatt eyesore through a more nuanced lens. Yes, it was long Erie County’s most prolific air and water polluter. But it was also the town of Tonawanda’s biggest taxpayer. Newberry knew that if Huntley tanked, so would this working-class Buffalo suburb 13 miles downstream from storied Niagara Falls. Between 2008 and 2012, Huntley’s pre-tax earnings tumbled by $113 million, partly because it was operating so far below capacity. That precipitous drawdown translated to a combined revenue hit of at least $6.2 million to the town, county, and a school district already gut-punched by shrinking state funds beginning in 2009. Over the next couple of years, belt-tightening and labor concessions were not enough to prevent layoffs of 140 teachers and the shuttering of three elementary schools and one middle school. “This is home,” Newberry says about her fierce dedication to bolstering Tonawanda. This region, hard by the initial nine-mile, hand-dug stretch of the Erie Canal that eventually transformed New York into the Empire State, is far from immune to economic turmoil. 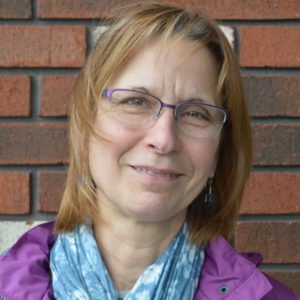 But Newberry, a former bartender and LGBT equality activist who earned her college teaching degree in her mid-20s, was convinced Tonawanda could avoid the familiar fate of fear and paralysis that has consumed multiple Rust Belt communities burdened with an industrial exodus. Instead of waiting for Superman, Newberry helped round up a handful of nimble and gutsy advocates. They were eventually able to heal a green-labor divide and coalesce as the Huntley Alliance. When the 35-year-old drives by Huntley now, she sees its hulking skeleton as a unifier. The symbol to dirty energy gave the alliance the nerve to convince the New York legislature to provide Tonawanda with a temporary cash infusion as it reinvents its tax base. It’s the first time a state has offered such a financial pillow to a coal-dependent community. And the alliance didn’t function in a vacuum as it mapped out the town’s post-Huntley future. Its mission to create an inclusive, equitable blueprint could be a beacon for similar blue-collar towns. Tonawanda, a Native American word meaning swift waters, was founded by white settlers in 1836. East of the CSX railroad tracks that run north from Buffalo and Niagara Falls, the 20-square mile town of Tonawanda, is a robust, built-out residential and commercial sprawl where 72,929 citizens define themselves as having a strong work ethic, affordable housing, safe neighborhoods, schools, recreation centers and top-flight paramedic service. A residential neighborhood is in the shadow of the now-shuttered Huntley. To the west of the tracks, it’s anything but quaint. 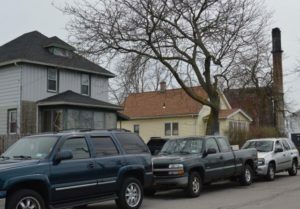 Huntley and 50-plus industrial facilities co-exist with older homes and trailer parks within a three-mile radius. That muscular mélange near the riverfront emits a distinct petroleum-rubber-chemical-exhaust stink. And big grinding trucks are an assault on the ears and the air. NRG, an independent power producer, purchased Huntley in 1999. Though the oldest current coal-fired unit dates back to 1942, the facility’s steam-generating history stretches back to World War I. NRG, headquartered in Houston and Princeton, N.J., retired half of the plant’s capacity in 2006 and 2007. Significant downsizing of the school district, a consequence of the plant’s shrinking production, scared Peter Stuhlmiller, president of the Kenmore-Tonawanda Teachers Association. By autumn 2013, he broached Richard Lipsitz, president of the Western New York Area Labor Federation, AFL-CIO. In short order, they were joined by Newberry’s non-profit, the Sierra Club and trade unions representing steelworkers and plant workers. Within weeks, the group’s initial goodwill was stretched to the breaking point when a local Sierra Club member organized a protest calling for the power plant’s closure. Labor leaders bristled when some demonstrators wore union shirts to the rally, interpreting that clothing choice as a Big Green strategy deployed to sabotage Huntley’s remaining employees. Finger-pointing ensued, and the union representing the 70-plus remaining plant workers walked away. The Clean Air Coalition had spent its decade of existence successfully bird-dogging major polluters along the gritty, industrial waterfront. However, the tiny non-profit intentionally did not call for Huntley’s closure. Leaders figured coal’s obsolescence was imminent as cheap, hydraulically fractured natural gas flooded U.S. markets and renewables boomed. Newberry, eager to mend the broken alliance, opted to circulate preliminary results of a groundbreaking study her 200-member organization commissioned from the Institute for Energy Economics and Financial Analysis. 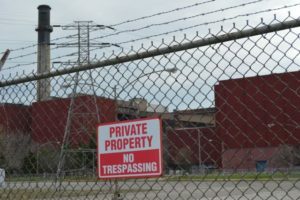 “Given that the plant is located in a region with substantial excess capacity for at least the next decade, the Huntley units appear ripe for retirement,” researchers with the Cleveland-based think tank concluded in their 24-page report, eventually released to the public in January 2014. That sobering prediction served as the needed. Former alliance members regrouped. This time around, the Sierra Club’s role was more peripheral and the plant’s union stayed away. Re-energized, the alliance leaders dove into discovering what assurances residents of this predominantly white, blue-collar area sought while they braced for another economic blow. Newberry—whose spine of steel helped her rise to the top job at the Clean Air Coalition in 2015, four years after being hired—says it was of utmost importance that alliance leaders trust one another. Otherwise, they wouldn’t be able to guide their community, no matter how noble their cause was. Creating that chemistry was an inside job. All along, Newberry’s low-key, well-argued insistence that workers can’t be left behind was a guiding principle of the reconvened alliance. That tack birthed some unlikely alliances. For instance, teachers rubbed shoulders with steelworkers and teamsters. Male-dominated trade unions listened to women’s ideas. Labor and Big Green united on common ground. At least 1,500 members of the steelworkers union live in the Tonawanda area, many drawing paychecks at employers such as Tonawanda Coke, 3M, DuPont and Sumitomo Rubber. Steelworkers backed the alliance’s focus on job retention and creation because they feared property taxes would spike after Huntley’s shutdown, thus spooking existing employers and repelling potential newcomers. 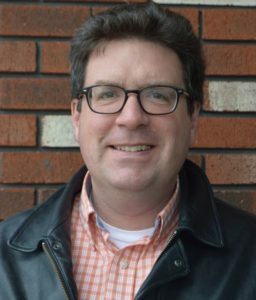 “We want to make sure they are good, clean, high-road, family-sustaining jobs that improve the quality of life,” says Dave Wasiura, the union’s area organizing coordinator. ge sparked by coal-fired power plants weren’t the alliance’s number one priority. “I was the angry environmentalist,” Strablow says about her mindset before Newberry helped her understand how a stumble by Huntley could mean a fall for her entire community. Ambitiously, the Huntley Alliance involved hundreds of residents in a series of listening sessions, door-to-door surveys and voter-registration drives. Workshops about grid reliability and energy markets ensued. The wish list that emerged included keeping schools intact, creating good-paying jobs, reconnecting to the Niagara River, expanding the tax base, protecting utility taxpayers and improving public health and the environment. The alliance had no qualms about lobbying New York state legislators for “gap funds” to bridge this tall order. After all, Newberry reasoned, Huntley had supplied electricity far beyond Tonawanda’s borders. By August 2015, when NRG announced the impending retirement of Huntley, a Democrat-majority State Assembly and a Republican-controlled Senate had already voted to back the alliance’s brainchild. When the 102-acre power plant went offline seven months later, the framework was in place for $30 million in first-in-the nation funding to fill revenue shortfalls in communities where fossil fuel-powered plants close up shop. Three other coal-fired plants in the region are also on the ropes. They were in jeopardy long before Gov. Andrew Cuomo announced last year that New York would be coal-free by 2020 as part of his carbon-control directive. This spring, legislators expanded the Huntley-inspired measure to include all electricity-generating plants, no matter what the power source. They also bumped the “gap fund” budget from $30 million to $45 million and extended its availability from five to seven years. Thus far, the news is good. No more teachers have been laid off from the town’s cherished schools, ratepayers’ electricity bills have not spiked, and the budget for the prized paramedic unit remains intact. Before approaching New York legislators, Newberry and her colleagues did their due diligence by combing through the budget and identifying a list of potential funding pots. 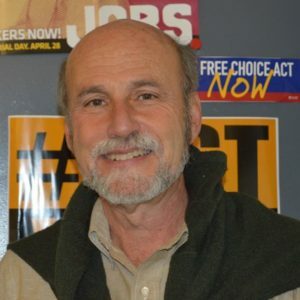 State Assemblyman Robin Schimminger, in office since 1977, helped guide the “gap fund” through the legislative maze once the alliance invited politicians to their table. David Schlissel, an author of the 2014 report Newberry requested about Huntley’s viability, emphasized that the alliance’s proactive approach and the New York legislature’s response offer a vital lesson for the rest of the country. “Instead of spending millions on propping up coal plants, we need to spend money to help communities make an economic transition,” Schlissel says. Newberry and other alliance members searched far and wide to explore the accomplishments of other communities trying to evolve beyond heavy industry. They traveled as close as Appalachia and as far as Germany. The overseas trip came courtesy of the Rockefeller Family’s Just Transition Fund and the political foundation arm of Germany’s Green Party. For now, the Huntley site is off limits. In Germany, they were amazed to witness how the government collaborated with citizens by funding the retraining of workers and recycling old production plants as renewables replaced fossil fuels. Back home, their on-the-ground efforts were seeded with $160,000 from an Obama administration initiative to help communities distressed by the demise of coal. In Tonawanda, federal POWER (Partnerships for Opportunity and Workforce and Economic Revitalization) funds were distributed a year ago by the U.S. Commerce Department’s Economic Development Administration. President Trump wants to zero out that money in his 2018 budget. The Delta Institute, a sustainable-solutions non-profit in Chicago, offered guidance and perspective as the alliance shaped Tonawanda Tomorrow with POWER funds. It’s a succinct outline for the town’s trajectory pulled from brainstorming sessions with 1,000 residents, businesses and other stakeholders. A final blueprint was released in June. 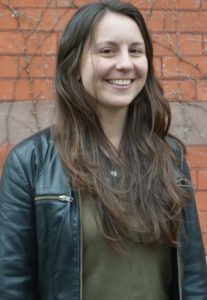 Cynthia Winland, a Delta Institute planning specialist, praised New York for having the gumption to approve an ahead-of-the-curve gap fund that could be a model and impetus for policymakers in places with significant coal-dependent jobs. A defunct Huntley causes jitters among Tonawandans who have watched the slow-rot of a 1,000-acre Bethlehem Steel plant idled in 1982 in Lackawanna. References to the factory carcass 21 miles south “send shivers down my spine,” says Tonawanda Town Supervisor Joseph Emminger. “We are not going to have another Bethlehem Steel here,” he declares. Tonawanda and Erie County planners view the reinvention of the Huntley site as a vital piece of transforming 2,300-plus brownfield acres—legacies of dirty industry—into greener ventures. 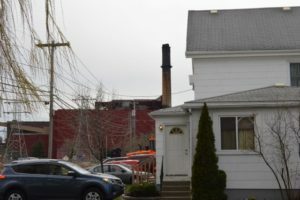 One of Huntley’s two smokestacks looms over an adjacent neighborhood. Recent cleanups have allowed existing companies such as Sumitomo Rubber to expand their footprints, and welcomed lighter-on-the land newcomers such as a solar technology plant and a warehousing operation. Possibilities tossed about at Tonawanda Tomorrow sessions included a bioenergy plant, an industrial heritage museum and green space. River access along the town’s six miles of shoreline is now limited to one sliver of parkland south of Huntley. That’s in contrast with the town’s northern neighbor–a significantly smaller city, confusingly also named Tonawanda — where a lush ribbon of parkland beckons visitors to the riverfront. A pockmarked bicycle/pedestrian path in the town becomes pristine at the city line. 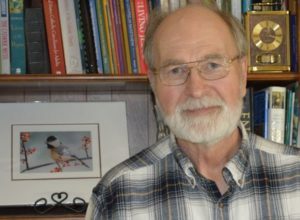 Buffalo native and Clean Air Coalition member Ronald Malec chose to retire in the city of Tonawanda—even though it is situated downwind of air pollution from Huntley and other industry—because his house is a five-minute walk from the river and his beloved birdwatching. The former lab technician, who testified before state legislators in favor of “gap funds,” doesn’t want Tonawandans to settle for mediocrity at the Huntley site. Unlike Bethlehem Steel, the Huntley site is not eligible for New York’s Superfund Program, says state Department of Environmental Conservation spokeswoman Erica Ringewald. However, NRG or a future owner could qualify for tax credits through the state’s Brownfield Cleanup Program. A preliminary to-do list at the site includes moving an 11-acre pile of unused Powder River Basin coal to a 116-acre NRG landfill about a mile away; closing a coal-ash lagoon; continuing to clean 11 petroleum bulk storage tanks; and managing its river-water withdrawal permit. However, NRG is not yet remediating the site, Ringewald says. Contamination levels at the site do not “represent a significant threat to human health or the environment,” according to her department’s assessment. Emminger isn’t envisioning condominiums—or any other type of housing—at that scarred waterfront site. Even with all the alliance has accomplished, Newberry has vowed eternal vigilance—so Tonawanda is ensured more tomorrows than yesterdays. Note: A version of this article, funded in part by the Solutions Journalism Network, appeared in Grist.